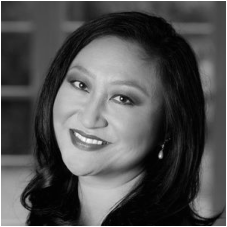 Soprano Wanda Yang Temko is a respected singer, voice teacher, and arts advocate. She holds a doctorate in voice performance from the Indiana University Jacobs School of Music in Bloomington, Indiana along with degrees from Georgia State University and Emory University. Based in Atlanta, she made her international operatic debut in Mozart’s Die Zauberflöte in Rome. Other highlights include the Mother in Menotti’s Amahl and the Night Visitors, Morgana in Handel’s Alcina, and Belinda in Purcell's Dido and Aeneas. Sought after as a recitalist and soloist, most recently she performed as soprano soloist in Brahms' Requiem with Ars Musica and New Trinity Baroque in a concert of Bach's sacred cantatas. 2013 concert highlights include her New York debut with Central City Chorus in December as soprano soloist in Britten's The Company of Heaven, a concert of the music of Les Six at Oglethorpe University Museum's Skylight Gallery with pianist Brent Runnels, and Britten's Songs from the Chinese and folksongs arrangements with guitarist Nicolas Deuson in concerts in California and Atlanta. In 2012 Dr. Yang Temko made her debut with the Alabama Symphony, and is featured on New Trinity Baroque's newest CD release of Christmas Cantatas and Concertos on Édition Lilac. She also performs and records with the Grammy-Award-winning Atlanta Symphony Orchestra Choruses. An acknowledged early music specialist, she has collaborated with some of the most renowned Early Music artists of our time, including Andrew Lawrence-King, Paul Hillier, Nigel North, Paul Elliot, and Stanley Ritchie. Her interest in contemporary music is equally keen, as evinced by her skilled and nuanced performances of the works of Olivier Messiaen and George Crumb. As a professional choral musician, she has performed with Robert Shaw, Robert Spano, Donald Runnicles, William Fred Scott, and Alfred Calabrese. She is also a founding member of Skylark Vocal Ensemble, America's newest critically-acclaimed professional chamber choir directed by Matthew Guard. Dr. Yang Temko maintains an active private voice studio, and teaches at Lovett, Paideia, and Atlanta International Schools.